What a sweet card! Love the colors and that cute chicken! Love your card and the embossed background is perfect. 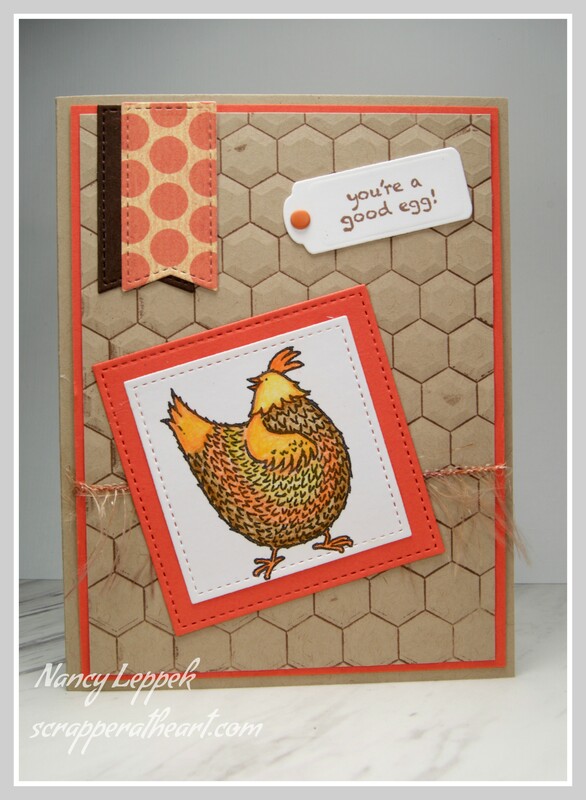 Great job coloring that chicken and love the color combo. Cute card! 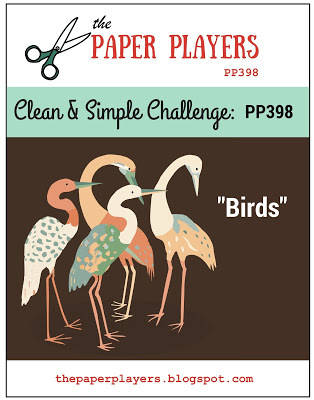 I love the background, perfect for your chicken!Thanks for playing along with the Paper Players, so happy you joined us! I could swear I commented on this one too but maybe that was on Instagram for this one. I get easily confused and have stopped commenting in both places. I adore this card. The colors and the background for the hen. Great job Nancy, I am just behind on my comments.